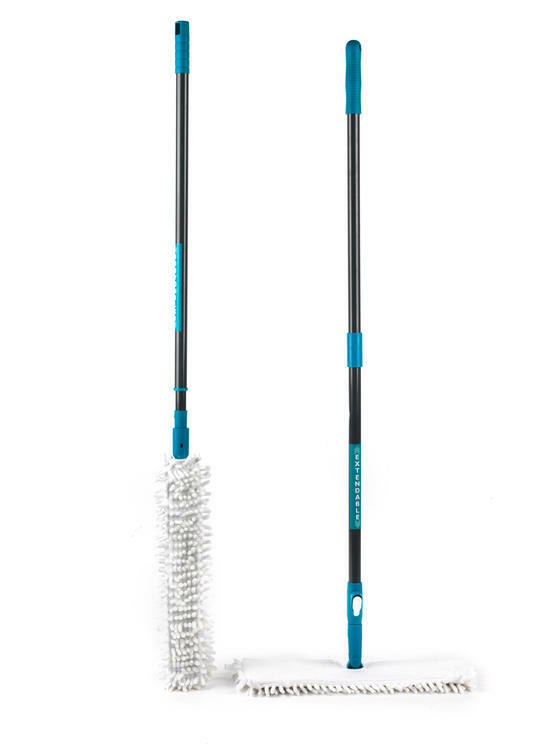 Discover a more efficient way to clean your floors with this lightweight Beldray Double-Sided Bending Mop and Extendable Duster Set. 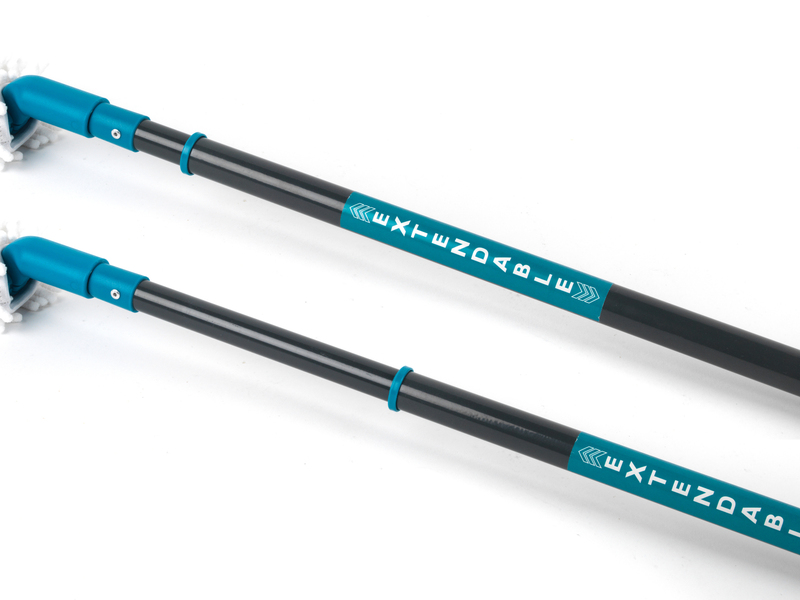 The extendable telescopic handles allow for comfortable mopping and dusting with further reach. The mop is even able to bend so you can get into tight spaces such as under sofas or tables. 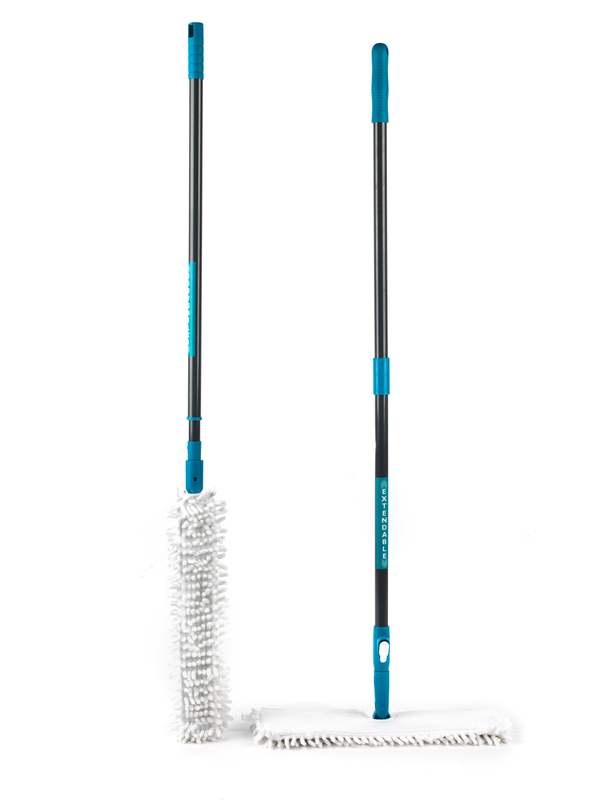 The microfibre duster and mop lock in dirt for effective cleaning while the flat shape of the duster makes it ideal for reaching underneath furniture and cleaning hard floors. 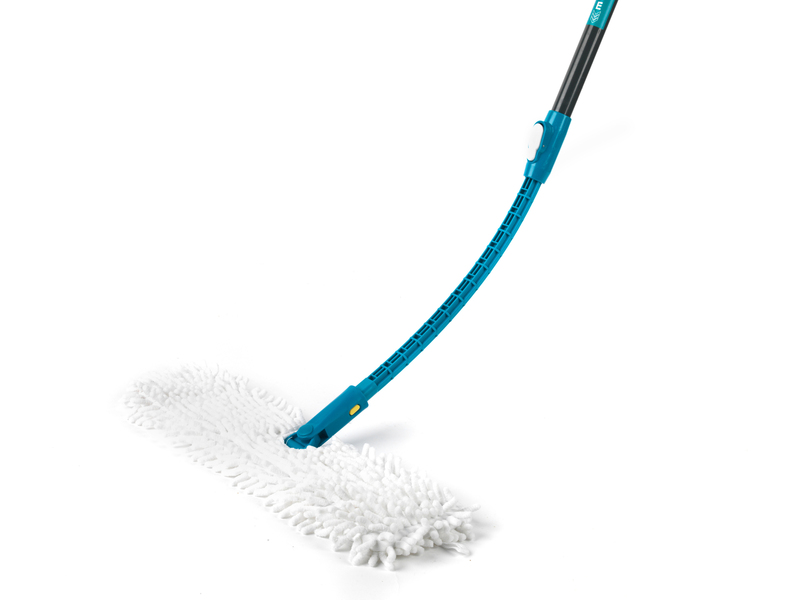 The brilliant Beldray Bending Mop features a handle that extends from 54-140cm so you can enjoy easy, hassle free cleaning. 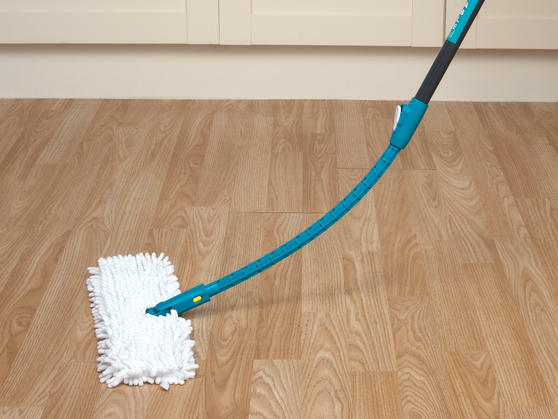 With one side made from chenille and the other from smooth fabric, you can clean with one side then flip the mop over to dry the floor. The flexible handle means you are no longer constricted to an awkward rigid mop; instead bend it to reach under heavy furniture. 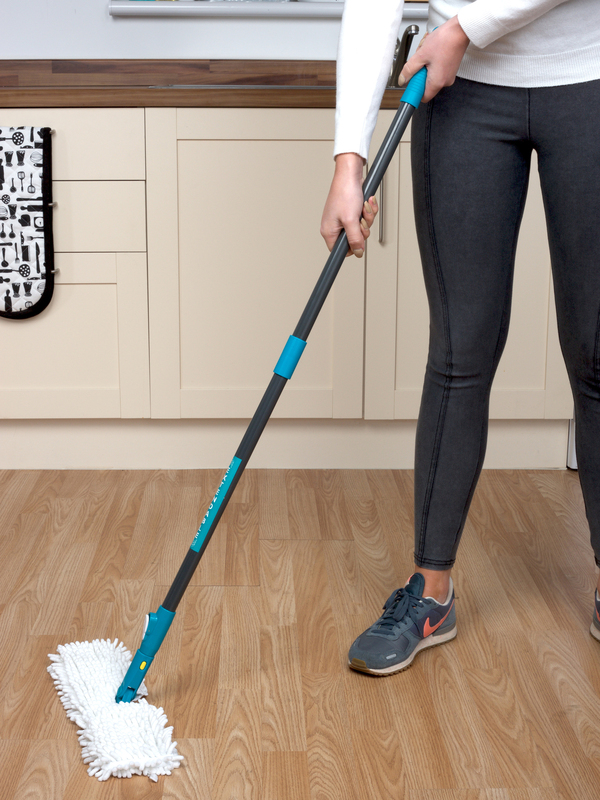 The Microfibre Duster has a telescopic handle that extends from 70-120cm and locks in dirt, to guarantee an effective clean. 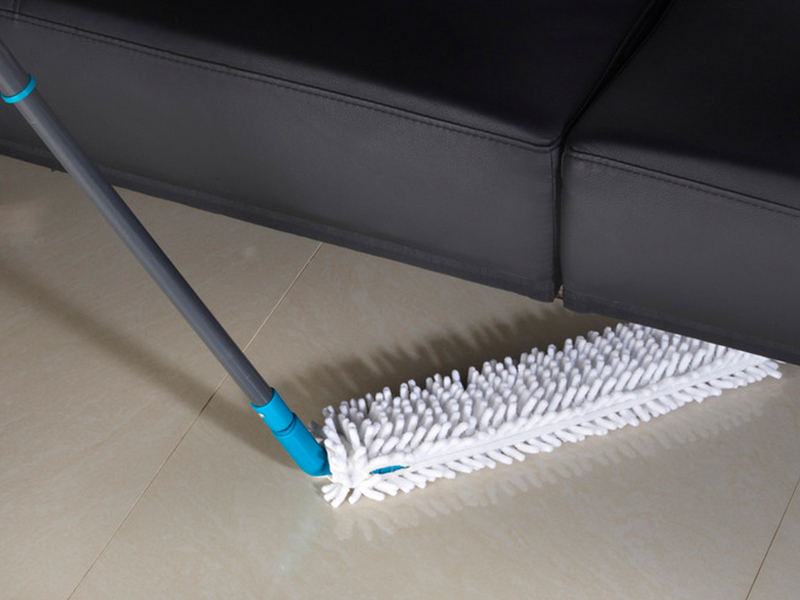 Suitable all around your home, the microfibre duster is non-abrasive and chemical-free, for cleaning that cares for your surfaces. 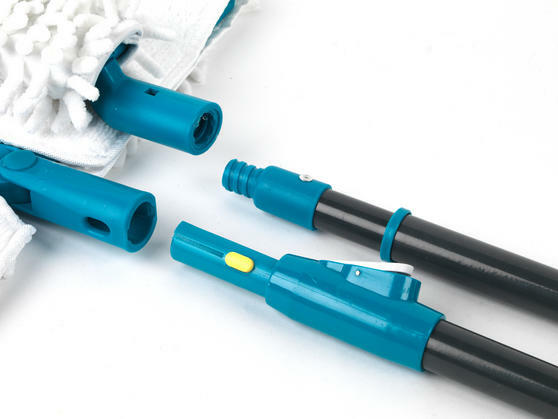 Hi can?t find a refill for this product. Love the mop but don?t want to buy a new one if there?s a refill available?